Kunsthaus Rhenania’s 250m2 event space has been run under the name Werft 5 – Raum für Kunst from January 2017 until May 2018. 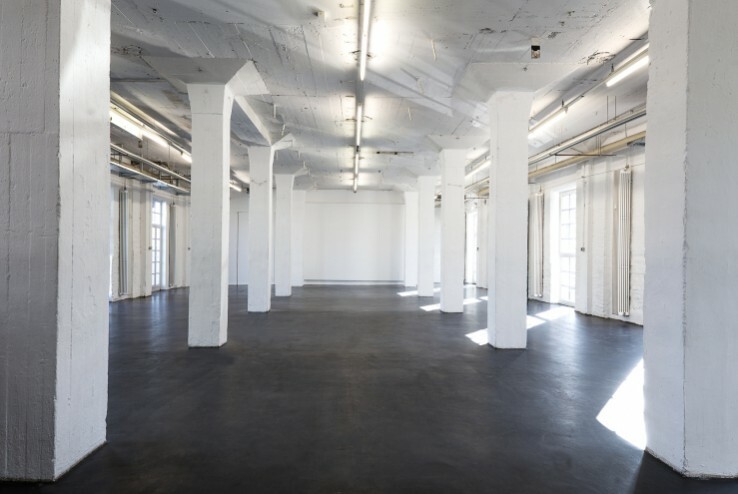 The space, which is sponsored and rented out by the city of Cologne’s Cultural Department, offered an interdisciplinary cultural programme of contemporary visual art, music, theatre, performance and film. Werft 5 linked programmes from the independent scene supported by the Cultural Department with already established cooperation partners—including Akademie der Künste der Welt, the Academy of Media Arts Cologne, Film Fest Cologne, The Cologne Art Book Fair, new talents biennale—with the Kunsthaus Rhenania e.V.’s own series of exhibitions and events, such as e.g. Musikwochenende. DJ Rachel Banks, Aneta Rostkowska & Jakub Woynarowski, GRRZZZ (FR), Capri by Night, DJ Friday Dunard (Magazine, SYFF).